There’s still two weeks left to enter the Month of May giveaway. There will be three winners of cash ($130, $110, $110) and one winner of an Asus netbook PC. The three cash winners are on three different Rafflecopter forms, so enter on this one and follow the links in the Rafflecopter to get to the other two. 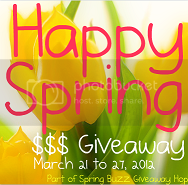 Click on the graphic to get to my post with the Rafflecopter. Good luck! 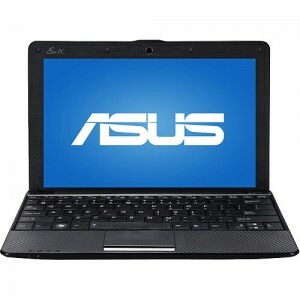 And…..the Grandprize winner will win Asus 10″ Netbook PC! The ultra-mobile and lightweight Asus 10″ Eee PC 1011CX-RBK301 Netbook PC lets you embrace all day computing with excellent connectivity. It features intuitive shortcuts for easy access such as EeeDocking. The stylish and ergonomic design features exciting multimedia enjoyment options like the 0.3MP webcam with digital microphone. Built-in 802.11n wireless networking provides an excellent, on-the-go Internet connection. Every season has its own charm, but perhaps the best among them is spring! To welcome this new season, I have teamed up with I Heart Giveaways and some great bloggers to bring you another giveaway! It’s time for Happy Spring $$$! One lucky winner will receive a total of $210 Paypal Cash. This event will run from March 21 to 27, 2012. Open worldwide. Who doesn’t need extra moola for the Spring season? What are you waiting for? Enter on the Rafflecopter below and try your luck!